As a member of the launch team for the brand new book in this picture, I received an advance reader copy. What a joy it was to learn about Hope Reins ranch. The focus in this true story is on Joey, an appaloosa who was so badly mistreated that he went blind. This therapy ranch rescued him to train him to work with hurting children. 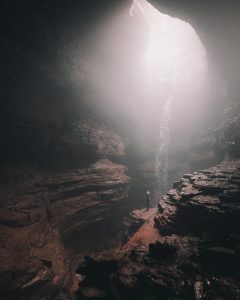 In essence, he was rescued to rescue others. There are too many gospel messages in just that sentence for me to unpack here. But then again, the gospel of Jesus is all over this sweet book. Joey may be the title character, but I think this book is about God. More specifically, it weaves an ongoing saga of God’s provision. One woman started a therapeutic horse ranch with only a dream and a dollar. A dollar a month that she paid for 17 acres of premium land because a church believed in her vision and God’s ability to produce fruit from it. Through fundraisers and generous donors God provided the money needed time and again for sheds, tack, feed, vet bills and all other supplies. Our good Father graciously provided Hope Reins as a loving, stable home for mistreated and neglected animals. He certainly doesn’t have to care about the suffering of animals, but that’s how big His heart is. Especially when alleviating that suffering brings glory to Him. And it does, as He provides comfort to these horses, they provide comfort to hurting children. God provides hope and healing through the unlikeliest vehicles – and not just for the children. Many of the adults who find themselves drawn to volunteer at Hope Reins receive much more than they bargained for – a purpose and healing of their own wounds through time with these majestic animals. God is in the details. That’s the encouragement I got from Joey’s story. Our Heavenly Father cares about our hopes and dreams. He cares about our wounds. He concerns himself with our physical, emotional, financial and spiritual needs. And He provides. He is Jehovah-jireh. Kim, the founder of Hope Reins, constantly repeated the mantra, “Worry and trust. Worry and trust.” Life would be much simpler if we could eliminate the worry from the equation. We can trust that God will prove Himself every time. That’s who He is. “Cast all your anxiety on him because he cares for you.” 1 Peter 5:7 NIV “And my God will meet all your needs according to the riches of his glory in Christ Jesus.” Philippians 4:19 NIV Test him in it. 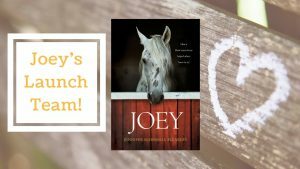 And if you need some extra encouragement in the battle, pre-order (it releases May 8th) the story of Joey – a tale of a blind horse and blind faith – by clicking here.